Alston, NCD, Feb 14 – Sirocco has a new Coat of Arms tonight as the government begins major reforms of Sirocco, starting with its international appearance. 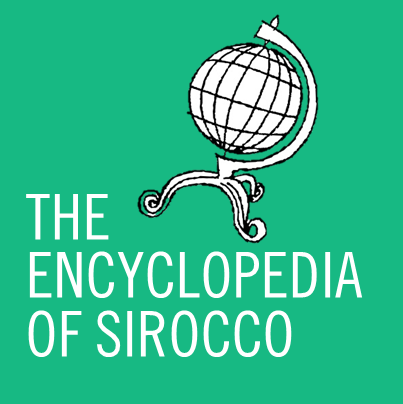 FEELING BLUE: Sirocco's new Coat of Arms introduces a more formal blue and white theme, replacing the "clunky" five-month-old predecessor. As part of the reforms, the original Coat of Arms, which was designed in September 2010, has been ditched in favour of a newer, more formal blue and white-schemed version. It was decided to retire the five-month old former Coat as it was deemed “too clunky and of very basic appearance”. While certain elements of the previous Coat have made the transition into the new “formal” Coat, such as the lions, pelican, Capital Star and sailing ship, other elements such as the provinces flag, dual banners and “T” division have disappeared. In its stead is an almost-entirely blue shield with a white triangle down the middle, defaced with the Capital Star and sailboat. On the outside edges sit four blue and gold stars, meant to represent the Southern Cross and the four points of the compass. It is expected that the new Coat will be gradually brought in to replace its predecessor, which was replaced on MicroWiki this afternoon.